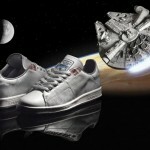 These Millennium Falcon themed Stan Smiths from the Star Wars x Adidas collaboration might not look like much, but they can make the Kessel run in less than 12 parsecs. 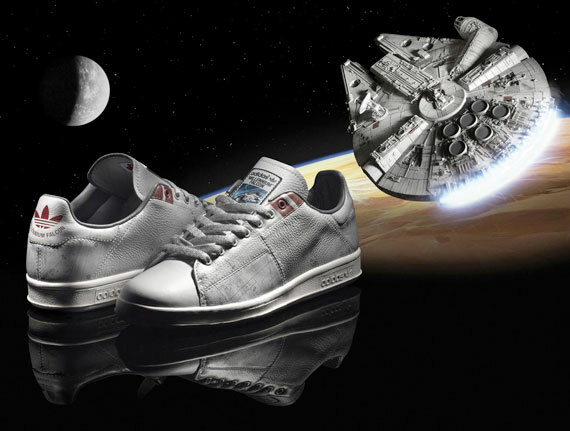 Based on Han Solo’s modified YT-1300 smuggling vessel, these Stan Smiths are done up in white with detailing on the uppers designed to make them look like the famous Corellian freighter. 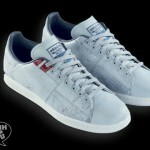 Available now at Schuh-You, you had better tell Chewie to punch it if you want to get your own pair before they sell out.